Notes: I finished these socks yesterday...started them on my trip to AZ in December but set them aside for schoolwork. 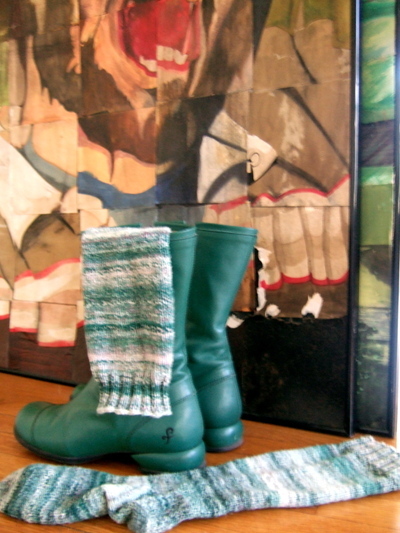 I have a fair amount left over, so I will make kneehighs the next time (American Pie in the stash) but these are custom length for my calf-high green fluevog boots. Handspun rocks! The first sock of this pair spent a long time languishing with the other single socks (and mere cuffs) in the drawer until I needed something to help me procrastinate on my final exam paper even further. I finished them last night and wore them to sleep! Comments: These will be wonderful to lounge around in but will disintegrate if I try to wear them too often in shoes out in the world. 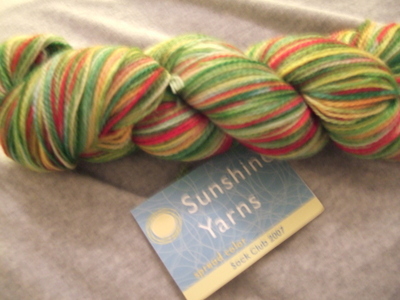 I didn't alternate skeins so the two socks are distinctly different handpainted shades of the same colourway. 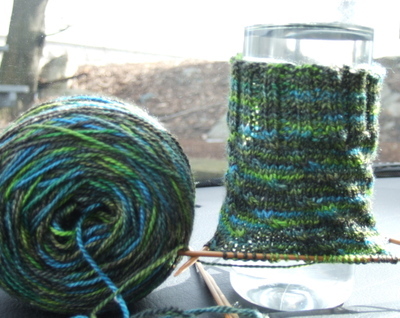 My first short row heels & toes--I like how the process of knitting doesn't get interrupted by gusset/flapping but I'll have to try it again with regular sock yarn to see if I prefer it for workday socks. 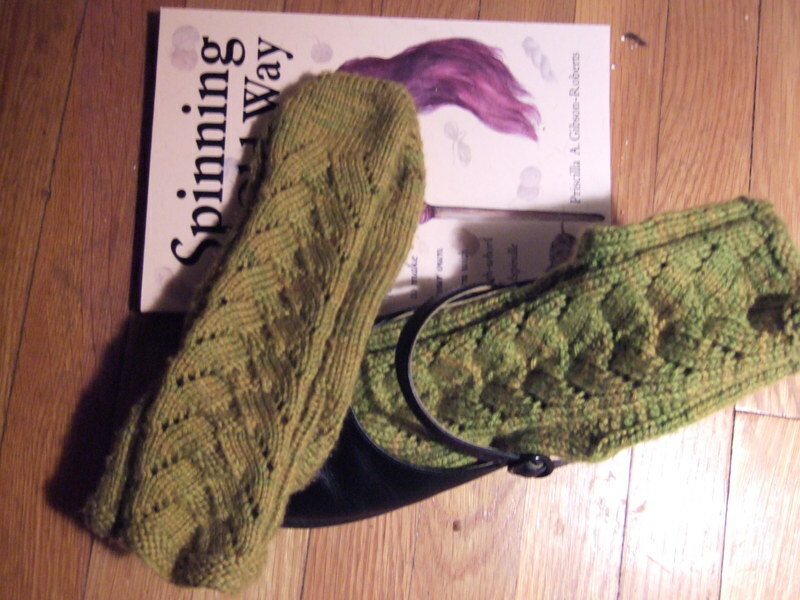 The patterning is fun, especially for heavier socks.